Do you like your food tangy? Then, you must be in love with the sweet-sour taste of tamarind. The delicious fruit remains present in our kitchen in multiple forms. When used in dishes, it also adds a delicious tart-sweet flavor to them. But it is not only the palate-pleasing nature but also its myriad of health benefits that make tamarind a kitchen staple. 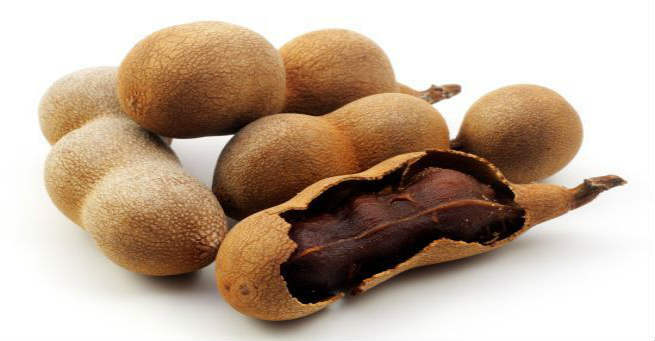 Want to know more about the health benefits of tamarind and how you can make the most of it? Keep reading. Tamarind or ‘imli’, (scientifically known as ‘Tamarindus Indica’), is a delicious fruit that has been used for years to add a tangy taste to food. It is the tart-sweet fruit of a very tall tree that belongs to the ‘fabaceae family’. Originated in the hot regions of Africa, tamarind is now extensively cultivated in a number of tropical countries including Mexico, Sri Lanka and India. You can eat it directly or use it as a condiment in cooking by pounding it finely. The pulp extracted from the tamarind fruit is added to many curries, chutneys, and other dishes, lending them distinct tastes and colors. It is even added to desserts. Not just as a taste enhancer, tamarind is also known for its health benefits. Tamarind is also found in Indian kitchens as digestive candies, pickles, beans, spices, and more. According to nutrition, tamarind is a true ‘superfood’. It is rich in protein, fat, vital vitamins (B complex, pyridoxine, C, E), minerals (iron, sodium, calcium, magnesium, phosphorous, potassium, copper, and manganese), and dietary fibers. It also comes loaded with antioxidants (mainly tartaric acid) and phytochemicals (limonene, geraniol, safrole, cinnamic acid, pyrazine, methyl salicylate, alkyl thiazoles, etc. ), which eradicate free radicals from our body. Tamarind has a calorie count of 287. The abundance of dietary fibers in tamarind makes the fruit a great digestive agent. It increases the production of bile in the body, thereby leading to better digestion. The bilious effects of this fruit keeps our stomach, liver, colon, and other digestive organs healthy by preventing ulcers and inflammations. Tamarind also helps bulk up the stool and makes it pass through the digestive system easily. This makes it an excellent laxative, which also translates into better bowel movements as well as excretion. Tamarind is a rich source of iron, which enhances blood circulation in the body and keeps anemia as well as other related symptoms at bay. Adding one serving of it to your daily diet can help you get 10% of your daily iron requirement. This leads to an increased count of RBC (Red Blood Cell) in the bloodstream, thereby ensuring that the body receives the optimum amount of oxygen. This is essential to each of its cells and organs for carrying on their functionalities properly. Dietary fibers present in tamarind help in controlling cholesterol levels in the body by reducing the excess LDL cholesterol (bad cholesterol) and promoting HDL cholesterol (good cholesterol). On the other hand, the high potassium content of the fruit contributes to its strong vasodilatory effects, which help lower blood pressure levels significantly. Moreover, it is rich in antioxidant vitamin C, which helps prevent the occurrence of chronic diseases by lessening the stress on the cardiovascular system. Put together, tamarind gives you a healthy heart. When you include tamarind in your regular diet, it helps you lose a few extra pounds and keep your body weight under check. The fruit releases hydroxycitric acid or HCA into the body, which helps in preventing an enzyme in the body that causes the storage of fat. Tamarind also helps in suppressing hunger pangs by boosting the secretion of a neurotransmitter called ‘serotonin’. All these cumulatively cause weight loss. Tamarind is rich in Thiamine or vitamin B1 that helps in strengthening our nervous system and promoting our muscle development. Consuming thiamine regularly will keep your nerve reflexes at its best as well as give you better cognitive function. The anti-inflammatory properties of tamarind make it a great herbal medicine for treating rheumatism. It breaks down certain inflammatory chemical named ‘interleukin’ and inhibits the secretion of bone-damaging enzymes. Tamarind not only soothes inflammation but also protects the bones, joints, and cartilages from pain and discomfort. Tamarind is one of the best natural ingredients that help manage diabetes effectively. It is an alpha-amylase inhibitor, which helps in preventing carbohydrates from being absorbed into the body and getting converted into sugars. As a result, no spikes or fluctuations are caused in our blood sugar levels. The antioxidant properties of tamarind, coupled with its antimicrobial effects, make it a wonderful ingredient for strengthening the immune system. A serving of tamarind everyday can shield your body from foreign body invasions and keep all kinds of microbial infections away, thereby protecting you from several diseases. The anti-inflammatory nature makes tamarind an excellent choice to treat skin rashes and sun burns. Apply some chilled tamarind pulp on inflamed skin for instant relief. Consuming half a teaspoon of tamarind pulp daily. Add tamarind pulp or extract to your regular dishes, fruit juices, or health drinks. Make small marble-sized balls of pounded tamarind with some jaggery, black salt, and cumin for everyday consumption. Chew on some tamarind candy every day. Prepare an infusion by boiling a teaspoon of tamarind pulp in a liter of water, strain it, and sip throughout the day. Make a solution by mixing half a teaspoon of roasted tamarind seed powder with water and have it regularly. Hypersensitivity to tamarind can cause allergies including rashes, itching, vomiting, and even shortness of breath. Excessive intake of tamarind (more than 10 gms. a day) can lead to hypoglycemia. People with chronic indigestion might end up developing acid reflux by consuming tamarind frequently. Uncontrolled portion sizes of tamarind can lead to the formation of gallstones in our body.